The Senators loyal to President Muhammadu Buhari are now converging in Sheraton Hotel as the plot to impeach the Senate President, Dr. Bukola Saraki and his Deputy, Ike Ekweremadu becomes glaring following Tuesday invasion of the Assembly complex by armed security men. The Department of State Services, DSS, blocked all entry or exit from the National Assembly in Abuja on Tuesday. The development is alleged to be part of the plot to effect a change of the Senate leadership. 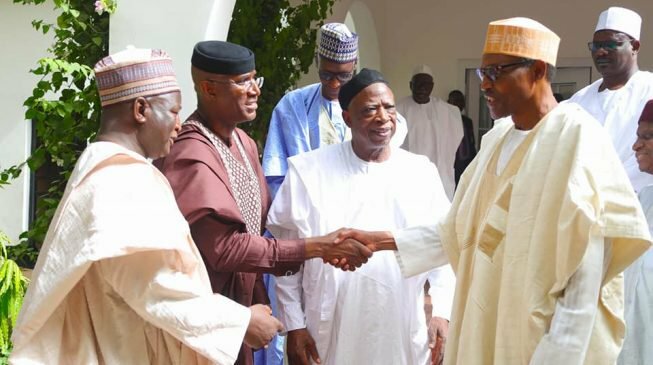 The Special Adviser to the Senate President on New Media, Yusuph Olaniyonu, told DAILY POST on Tuesday that the APC senators have now moved to Sheraton Hotels to embark on the illegal impeachment of the Senate President and his deputy.